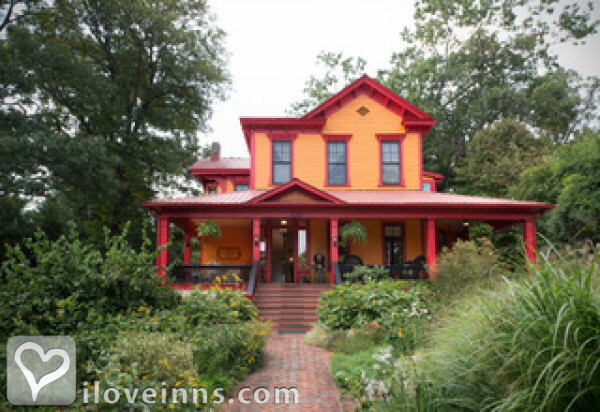 Black Mountain bed and breakfast travel guide for romantic, historic and adventure b&b's. 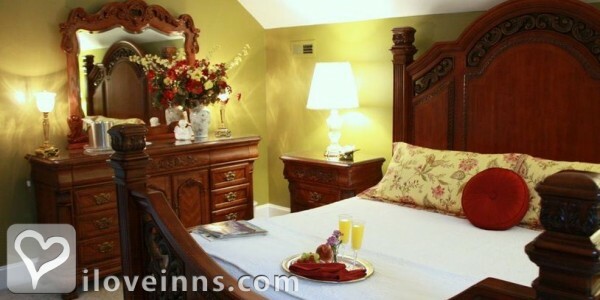 Browse through the iLoveInns.com database of Black Mountain, North Carolina bed and breakfasts and country inns to find detailed listings that include room rates, special deals and area activities. You can click on the 'check rates and availability' button to contact the innkeeper. Situated near the Southern Appalachians, Black Mountain, North Carolina possesses a beauty accentuated by scenic mountain views. To learn the community's rich pioneer history, visitors may go to Swannanoa Valley Museum. Other interesting locations here are Kitzuma, Black Mountain College, Burnette Reservoir, and Lake Tomahawk Park with its beautiful playground. Fitness buffs who are staying at Black Mountain bed and breakfast inns sometimes visit Cheshire Fitness and Raquet Club and Black Mountain Yoga. Beer and ale-lovers can proceed to Pisgah Brewing Company and grab a taste of its great products. Visitors who want to enjoy nightlife can take a short trip to Asheville and have fun at Smokey Tavern, The Orange Peel, and Flat Rock Playhouse. By Red Rocker Inn. Black Mountain is located in western North Carolina. Black Mountain Golf Course is the choice for golfers and the Swannanoa Valley Museum and the Asheville Historic Trolley Tours are rewarding attractions. Mountain biking at Kitzuma is for the more adventurous. Other interesting sights in the town are Black Mountain College, Lake Tomahawk Park, Burnette Reservoir, and Pisgah Brewing. From their respective Black Mountain bed and breakfast accommodations, guests can take a short drive to the Cheshire Fitness and Racquet Club and Black Mountain Yoga to keep up with their fitness regimes. By Red Rocker Inn. Welcome to year-round seasonal beauty, relaxation and fun in the Blue Ridge Mountains of Western North Carolina! The beautiful town of Black Mountain, just 12 miles east of Asheville, NC and the gorgeous surrounding area offer the perfect place for you to enjoy your North Carolina mountain vacation! Once you arrive, you'll completely agree! Filled with lots of things to see and do, you'll love Black Mountain for its arts, music, culture, spiritual retreats, and so much more. This is a town that loves it's festivals. Come in June for the juried Art Show, or in August for the Sourwood Honey Festival. Holidays are big too with July 4th fireworks and street dancing and the Holly Jolly street fair in early December. Our neighborhood is THE place for Halloween with over 1500 trick or treaters visiting! The famous Biltmore Estate is just 12 miles away and you'll be just as close to eclectic and funky downtown Asheville, the Grove Park Inn (think National Gingerbread House Competition) and The incomparable Blue Ridge Parkway for scenic drives is just 8 miles away. And of course, it's all surrounded with stunning mountain scenery. What ever you like to do, you'll find plenty of it in this charming town and the surrounding area. Start out with a visit to the visitor center to help plan your visit. By Red Rocker Inn.